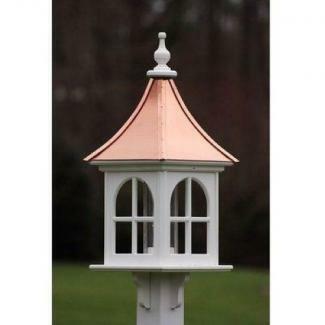 These classic copper roof gazebo style bird feeders are sure to please in maintenance free vinyl/PVC that will not crack warp split or fade. 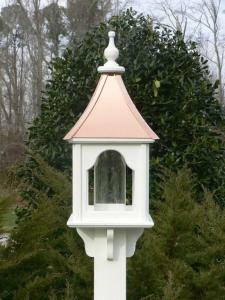 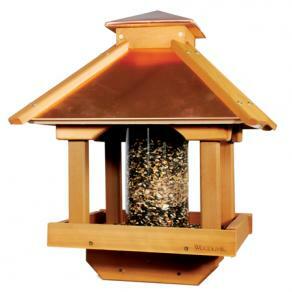 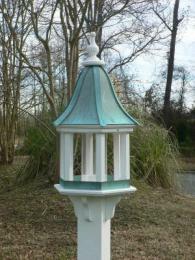 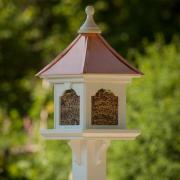 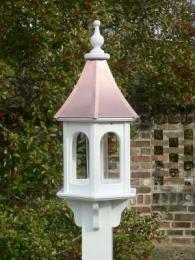 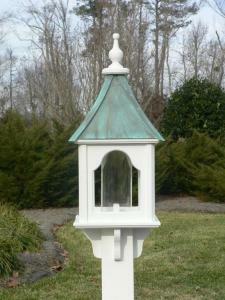 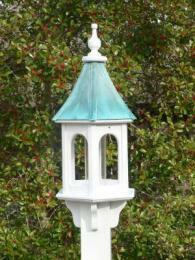 We also carry the original cedar wood gazebo style bird feeder from Woodlink with a bright copper roof. 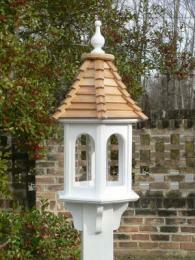 All have easy to fill removable tops. 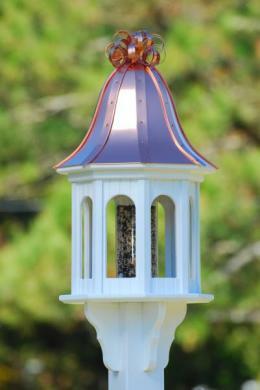 Shingled Roof Vinyl/PVC bird feeders are also available in certain models.